Bruno Mars is an eleven-time Grammy Award-winning singer, he is best known for producing songs like “Locked Out of Heaven”, “24K Magic”, “Finesse”, and “Uptown Funk” with Mark Ronson. Mars has been compared to the great Michael Jackson thanks to not just his voice but his breathtaking stage performances and showmanship which always has a retro vibe similar to that of the late “Thriller” crooner. He is today one of the best-selling artists of all time, having sold over 130 million records worldwide. Bruno Mars was born Peter Gene Hernandez, one of six children to Bernadette San Pedro Bayot and Peter Hernandez on October 8, 1985, in Honolulu, Hawaii. He is of mixed race and ethnicity. From his paternal side, he is Puerto Rican and Ashkenazi Jewish (Ukraine and Hungary) while from his maternal side, he is Filipino and Spanish. His family was fully invested in the entertainment business as his mother worked as a singer and dancer while his father performed rock and roll music. They operated the family band, The Love Notes, which their son, at the young age of four, began performing in. He was known for impersonating Elvis Presley and also performed songs by The Temptations and Michael Jackson among many others. The highlight of his time as a child was when he performed at the halftime show of the 1990 Aloha Bowl and was featured as ‘Little Elvis’ on a popular tabloid newspaper. He also made a cameo appearance in the movie ‘Honeymoon in Vegas’ (1992). Bruno Mars attended President Theodore Roosevelt High School where he formed a singing group called The School Boys. He recorded a number of demo tapes, one of which was heard by a music industry insider in Los Angeles, California thanks to one of his sisters. Mars was immediately invited for an audition and by the time he finished high school in 2003, he decided to move to the mainland to pursue a singing career. The following year, Mars signed a record deal with Motown Records but was soon after dropped. This prompted him to start from scratch to learn how to write music. He was mentored by renowned record producer Steve Lindsey who offered him a music publishing deal in 2005. In the meantime, Mars formed a band that did cover songs across the city with his brother Eric and other struggling artists like Jeff Bhasker. He later joined forces with record producer and songwriter Philip Lawrence with whom he co-wrote a number of songs for other established artists before eventually landed a recording deal with Atlantic Records and released his debut album ‘Doo-Wops & Hooligans’ (2010) as the rest became history. Before Bruno Mars was able to make a name for himself as a singer, he made a good living as a songwriter for artists like Rihanna, Flo Rida, and Adele. However, after achieving fame in his own right, Mars has been said to have an estimated net worth of around $110 million. He accumulated his massive wealth mostly from music/album sales, record production, and world tours. In 2014, Mars reportedly made $156.4 million from his Moonshine Jungle World Tour. For a few years now, the sexual orientation of the “Grenade” singer has been of much speculation most especially after CNN published a report on its website saying Bruno Mars came out as being gay to Chicago radio station, WENN. Mars’ representatives were at that time quick to deny the claim and called for the report to be pulled down. So far, there are no actual reports on the singer being gay other than speculation. 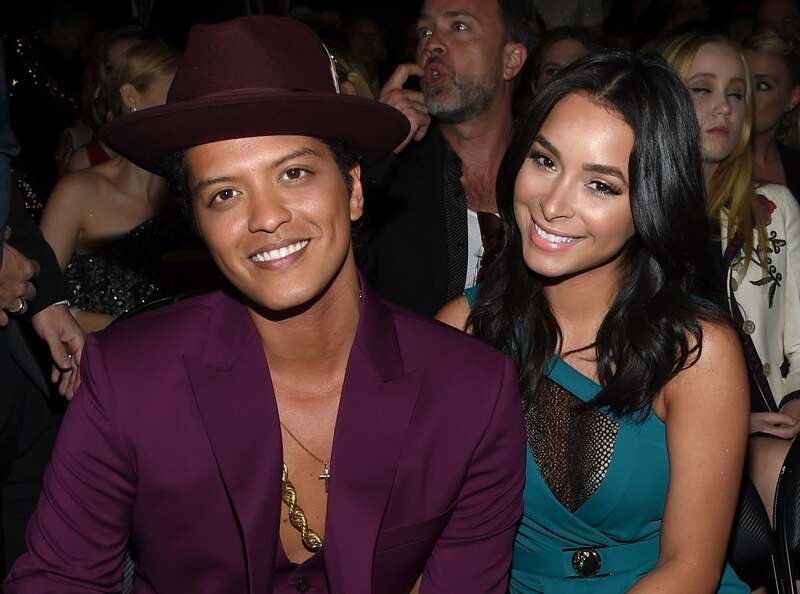 Mars has been in a longterm relationship with Puerto Rican model and actress Jessica Caban who was born in New York on June 13, 1982. The pair reportedly started dating in 2011 and by 2012, moved into her superstar boyfriend’s Los Angeles mansion. In view of this, it wouldn’t be out of place for one to conclude that Mr. Bruno isn’t sexually attracted to his gender. Bruno Mars is unfortunately not blessed with height as he measures just 5 feet 5 inches (1.65 m), a good 5 inches below the average height of an American man.